The Tsunami Slimwave Saltwater Lure allows saltwater anglers to take to the waves. 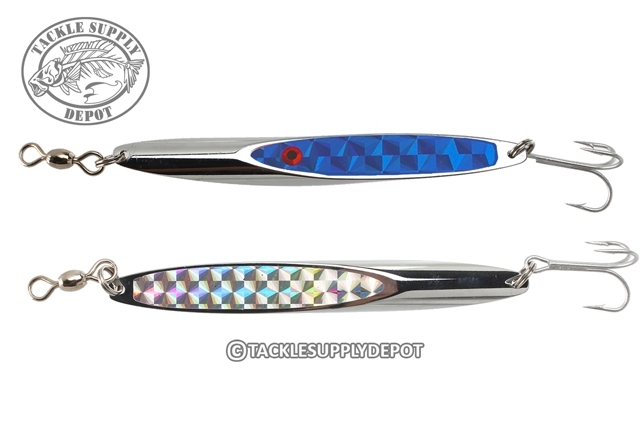 The body of the Slimwave features a hand polished chrome finish and reflective prism tape that grabs the attention of all predators in the area, while the custom taper swimming action is irresistible. Built with a genuine Mustad hook, stainless steel split ring, and heavy duty swivels, this lure is made to last.